Joan had very long hair for years but tended to always wear it up for ease and convenience, finally she took the plunge for a bold new look. Natalya cut in an easy to style, short but still feminine look combined with a luxurious colour, Joan was super pleased with the glamorous result. Charlotte came into the salon with a home box colour tragedy, she had bands of different shades of warm blonde from a number of applications. Dan gently cleansed as much of the previous colour out before then applying layers of finely weaved foils to re-balance the colour. Charlotte is now firmly on her journey to achieving a creamy luxurious blonde look that she wanted. Jo wanted an easy to manage but still sophisticated modern style that would look equally great about town and on an evening out. 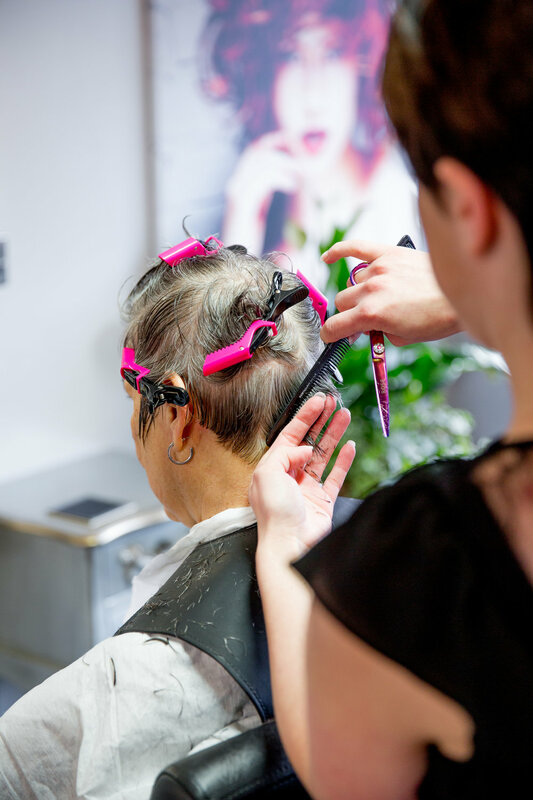 Gemma advised a style that was short but still feminine, textured and that would be super easy to style with only the need for a very fast blow drying time and that used the minimum amount of styling products. Nicola wanted to ring the changes with some funky bright colours that would show off her great personality. Gemma used flashes of dramatic magenta slices designed to compliment the Nicola's existing base colour and would guarantee a vibrant, eye catching bold look that is full of fun and that is sure to get noticed. Helen came to us for a correction cut after visiting another local salon. Helen was unhappy with the uneven finish that she had received elsewhere, she was also nervous about going too short. 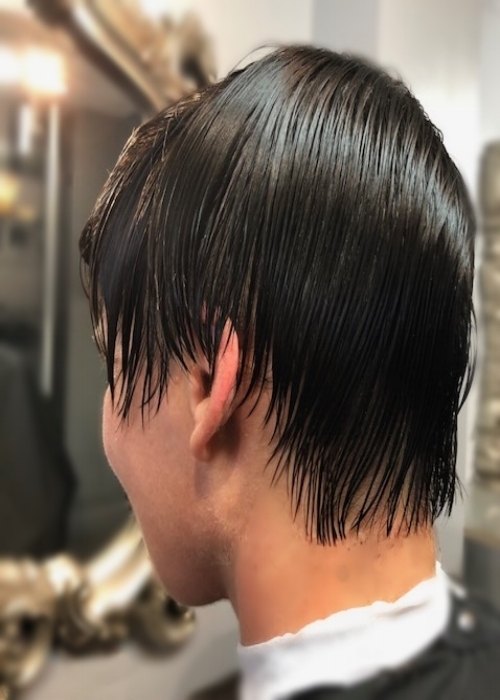 Natalya used her skill and experience in precision cutting to re-balance the mistakes made by the other salon whilst making sure to only cut the bare minimum of length required to achieve a quality finish. Moshai was looking for an easy to maintain, easy to style, smart gents cut. Gemma suggested keeping some length on top which he was used to but a much shorter cut on the sides & back to give him a sharp & up to date look. He liked it, we liked it, but most importantly he called & told us his wife liked it too. Jane wanted an easy to style, easy to maintain cut that requires the minimum use of styling products & would be easy to blow dry daily at home. Natalya added some shape and definition with layers to help give some volume, a style that can be blow dried casually at home or glammed up for an event. Beth loves fun colours & is always changing her ideas, this time she was feeling green & purple. Natalya used Platinium bleach to lighten slices & sections of hair then applied a combination of Lime green over Deep Purple using L'ANZA vibes. What Beth will come up with next, who knows? 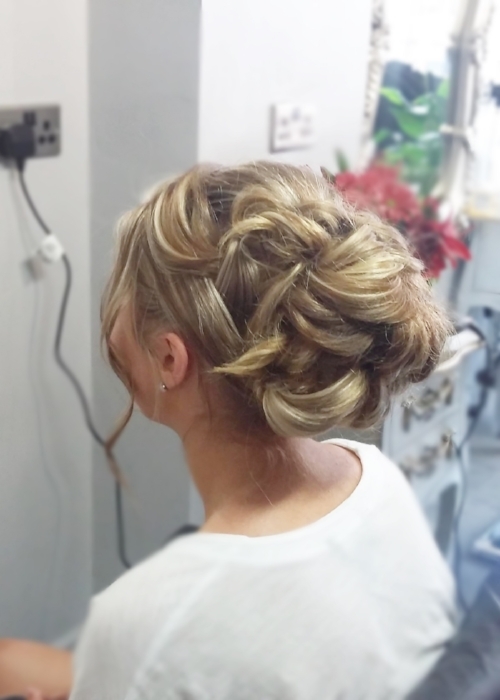 Grace wanted a casual relaxed updo to compliment her dress and natural looking make-up for her recent school prom. Gemma was on point with exactly what Grace was looking for and she left the salon looking fantastic and confident for the big night ahead. Terri wanted a complete change from the long hair that she had been growing for years. Natalya advised a simple to live with, cute bob that would be easy to style in line with Terri's busy life. Terri donated her locks to the Little Princess trust which provides real hair wigs to kids who have lost their hair due to cancer treatment.